"Absolutely stunning piece of jewellery to wear!" 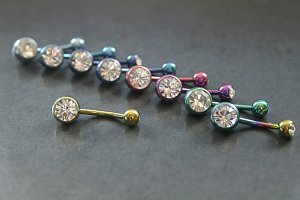 Crafted from Pure Titanium, this barbell is Externally Threaded and features a stunning Cubic Zirconia gem. "Exactly what was shown in image. 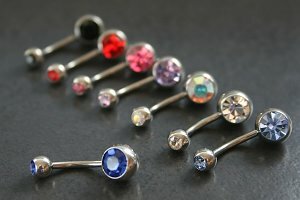 I can only wear titanium in my belly button and of course i had no issues with this." "Love the colour and the jewel. Arrived early! But would be better if they came in smaller sized bars"